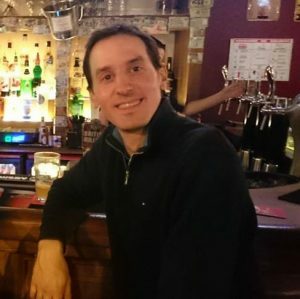 Continuing on cooking with less fat, I am thinking it would be good to make a list of oil-free sauces and dressings to add to salads and dishes. 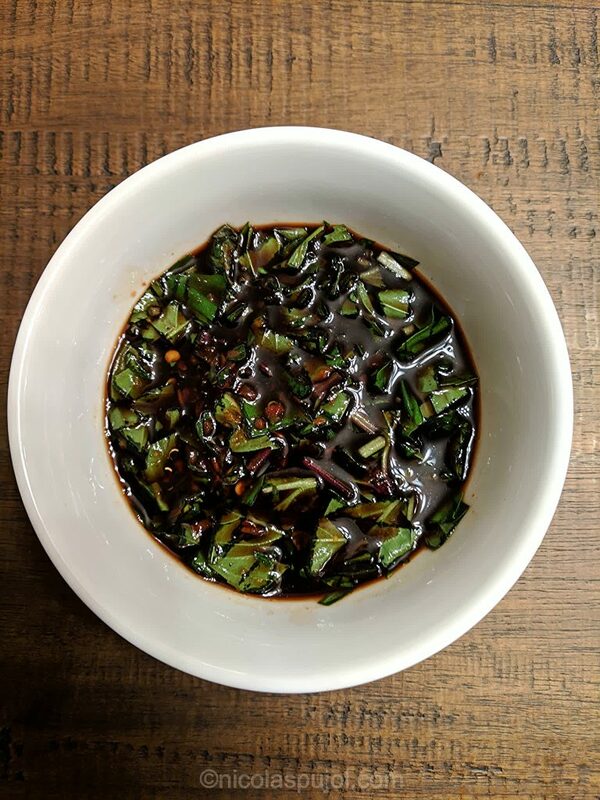 This oil-free spicy balsamic vinegar basil dressing recipe is made with garlic chili sauce and only takes 5 minutes to prepare. 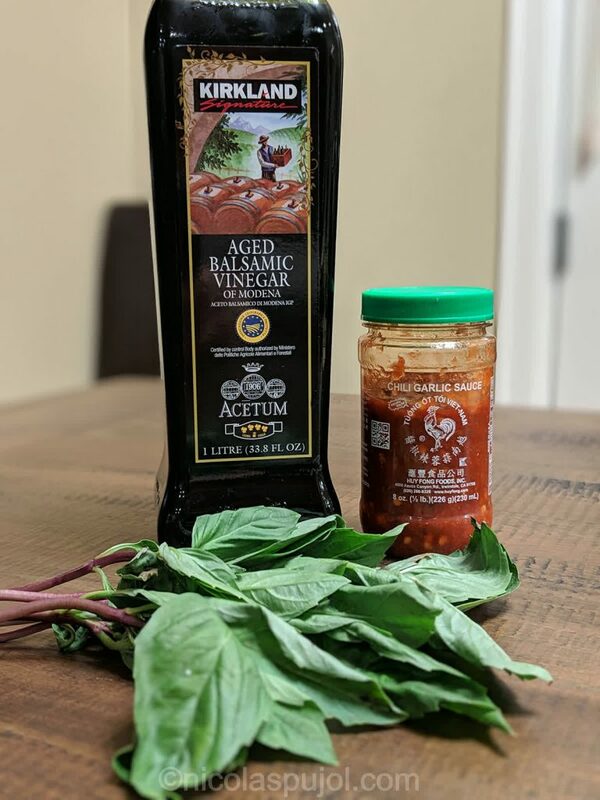 The genesis for this oil-free spicy balsamic vinegar basil dressing comes from making a pasta salad. For certain periods of time I go off gluten, and some other times I reintroduce it. The reintroduction is sometimes voluntary, like today, other times we visit friends which serve us dishes made with it, that’s another source. 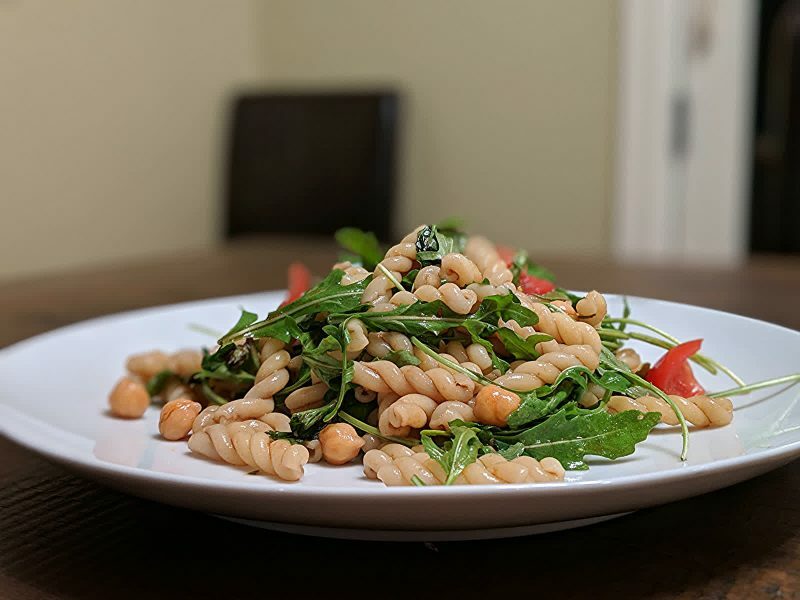 For this pasta salad, I used tomatoes, garbanzo beans and arugula. 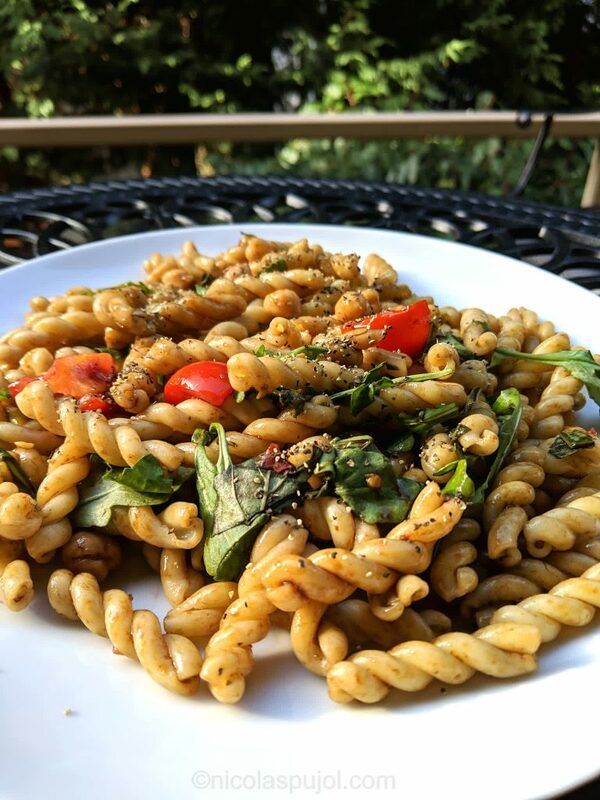 These veggies combine well together, and also well with pastas. 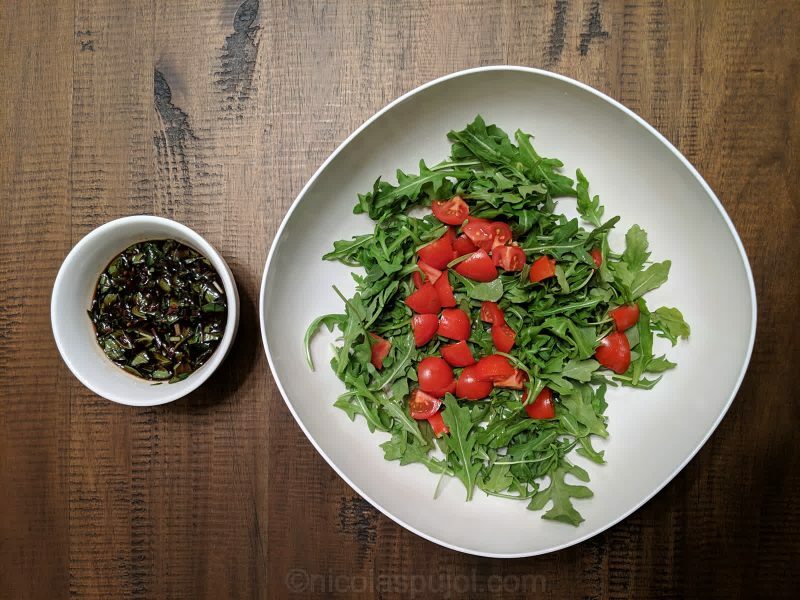 I felt like something spicy to make the dish an experience for taste buds, and since tomatoes pair well with balsamic vinegar. To make it quick, the chili garlic sauce saved the time to peel and chop fresh garlic cloves. 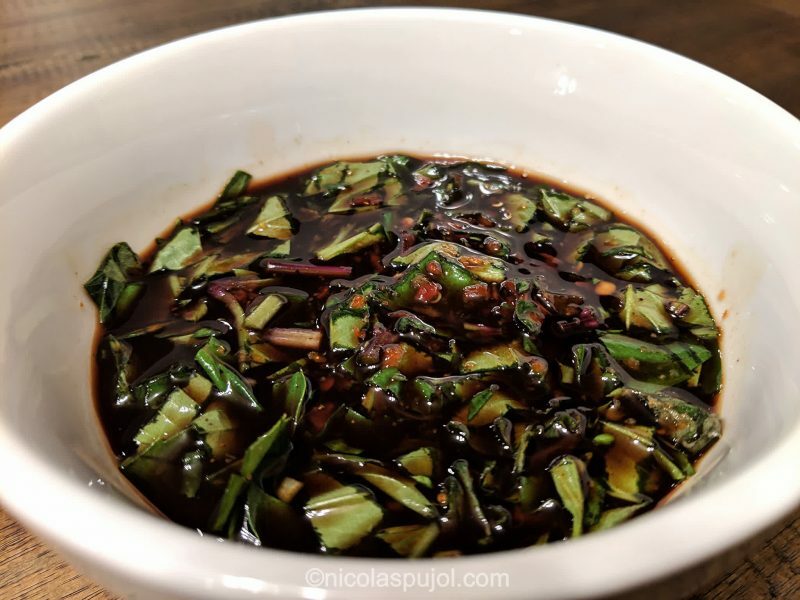 If you don’t have this particular Asian sauce, you can use fresh garlic or onions and will obtain a very similar flavor. 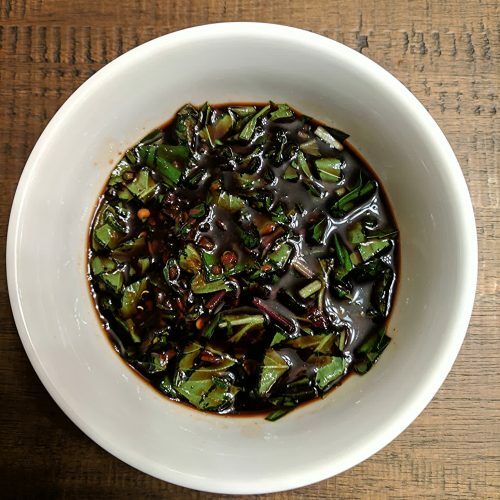 This oil-free spicy balsamic vinegar basil dressing recipe is easy, made with garlic chili sauce, and does a great food pairing for salads and pastas. In a medium bowl, combine vinegar, basil and garlic sauce. Mix in with pasta or salad vegetables.